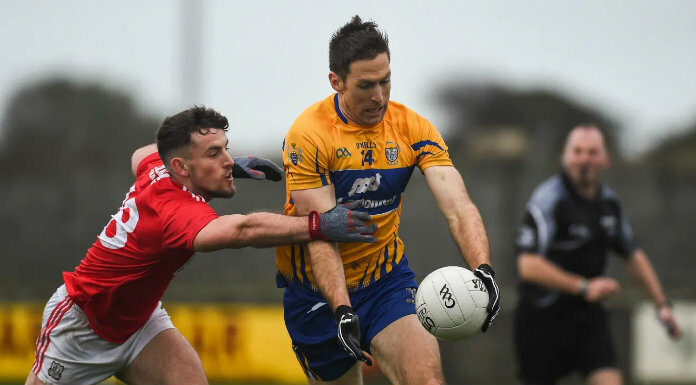 Clare senior football manager Colm Collins has made three changes ahead of this Sunday’s National Football League meeting with Cork. Aaron Fitzgerald is named at centre back with Dean Ryan replacing Dale Masterson on the wing; Darragh Bohannon starts in midfield for the suspended Cathal O’Connor; and Gavin Cooney is named in the attack instead of the injured Dermot Coughlan. Cork football manager Ronan McCarthy announced two changes to their starting side on Thursday evening. And an inside line of Keelan Sexton, David Tubridy and Kieran Malone.